In July of 2018, the Akron Community Revitalization Fund (ACRF) announced its fifth loan designed to help revitalize a distressed neighborhood on the eastern edge of downtown Akron, Ohio. 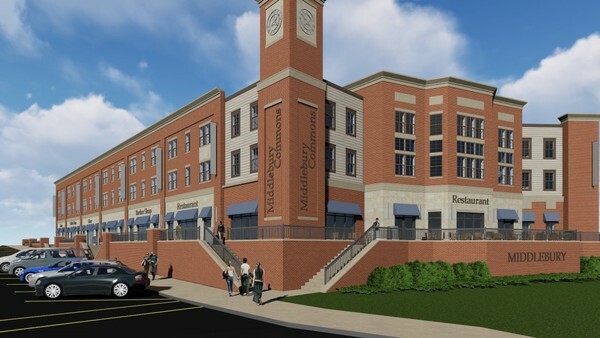 The $1.6 million loan will finance the construction and buildout of the ground floor commercial / retail space of Middlebury Commons– a mixed-use project with affordable apartments for seniors and first floor retail space. Middlebury Commons is a significant part of the strategy to transform Middlebury from an area of disinvestment into a thriving neighborhood on Akron’s eastside. The $11.5 million project will provide forty 1 and 2 bedroom apartments for seniors 55 and over, as well as 14,000 square feet of retail space. We anticipate that the project will increase residential and business density at the heart of Middlebury while providing access to necessary services and amenities for the residents of the building and the surrounding blocks. The loan was made through the Akron Community Revitalization Fund (ACRF), a $6.75 million community endeavor that was capitalized by over thirty philanthropic foundations, individual and corporate grants, new market tax credit equity, and private loans and investments. The ACRF was established to assist with financing important community and economic development projects within Akron’s most economically distressed neighborhoods, providing more flexible rates and terms than is available through conventional financing. In addition to the ACRF loan, the project also received funding from the Ohio Capital Corporation for Housing, the Ohio Housing Financial Agency, Huntington Bank, the Federal Home Loan Bank of Cincinnati, Finance Fund, NeighborWorks America, and the City of Akron. Village Capital Corporation of Cleveland assisted DFWR in underwriting the project. Rendering courtesy of East Akron Neighborhood Development Corporation. See Development Finance Authority of Summit County website.